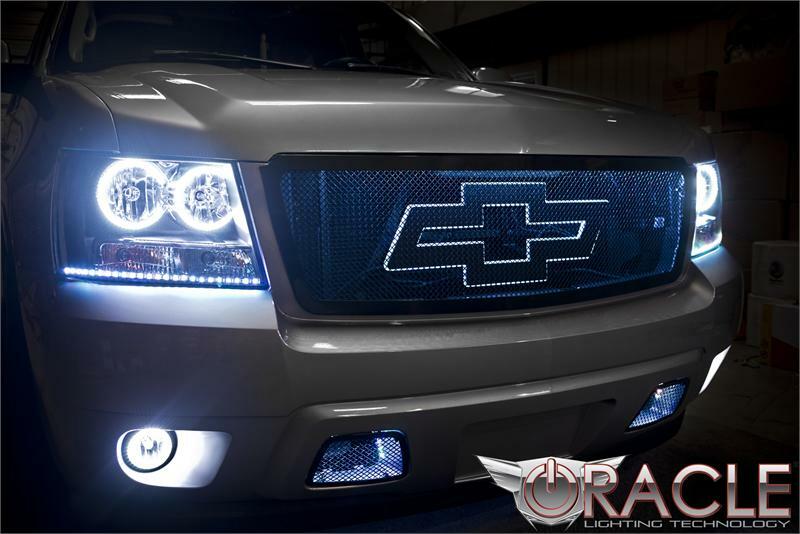 ColorShift SMD Halo Kits by Oracle Lighting are taking the automotive aftermarket by storm. Installing a SMD Halo Light Kit on your vehicle will instantly change the entire appearance of your vehicle, especially at night. Oracle Halo Kits are of top quality. USA Made, No Inverter is required. Once mounted inside your EXISTING Headlights, the Oracle ColorShift remote control allows you to change colors, do flash patterns, and more. 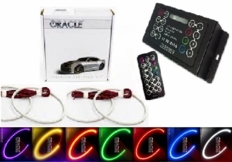 Oracle SMD LED Halo Kits use a rigid PCB with top quality leds on it, meaning the halo rings will not break and the light shines directionally forward. The rings have an industrial grade self adhesive backing, so they easily install inside the headlight (once you complete the much more difficult process of opening your headlight assembly). Approx. 100,000 hour lifetime. 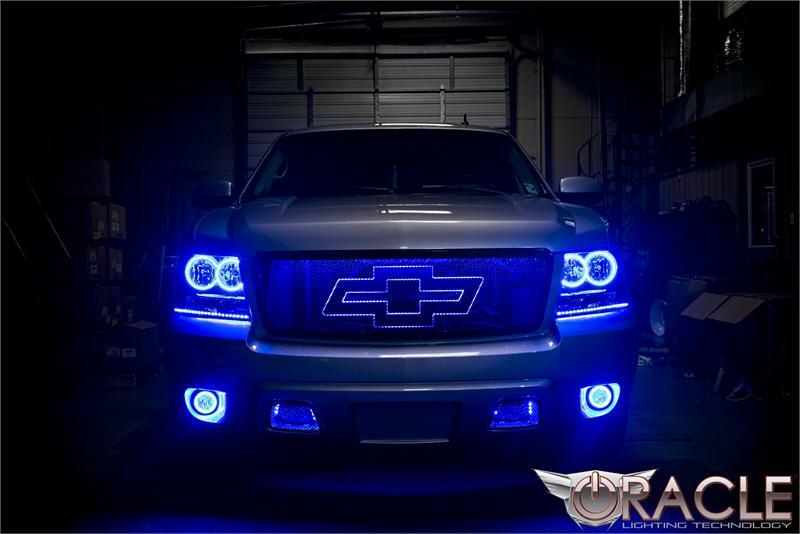 This Color Changing LED Halo Light Kit fits 2007-2013 Chevy Avalanche models and comes with the halo rings for both headlights. A control box and remote control are included in your kit. Matching Fog Light Rings are available above for an additional charge. Professional installation is recommended. If planning to install these yourself, please watch the install video to make sure you are comfortable with the process of baking and opening your headlight before purchasing.